Marriage Supporter — I want you to be among the first to know that the National Organization for Marriage (NOM) has endorsed Dr. John Fleming in the race for US Senate in Louisiana. Here is a video that we produced to explain our endorsement of this outstanding champion for marriage, life and religious liberty. The presidential election obviously has occupied most of the political discussion this year, but with just over three weeks left before Election Day, there are a number of critical races where NOM can make a difference in helping retain control of the US Senate and key governorships, and win other state elections. Keeping the Louisiana Senate race in GOP hands is essential if we are to prevent the confirmation of liberal Supreme Court justices and inhibit the next administration from continuing President Obama's dangerous policies on redefining marriage, religious liberty and gender. Producing individual videos to announce our endorsement and educate voters allows NOM to ratchet up our effectiveness. But producing videos also costs money, and we need your financial assistance of $25, $35, $50, $100 or $250 or more. Not only have videos become one of the most popular forms of communication, but a video makes it more likely that news of our endorsement will be spread on social media and via email by supporters of our endorsed candidate. We still issue press releases announcing our endorsements (in fact we've invested in sophisticated new systems that allow us to reach more media outlets including bloggers and other influential online voices) but the addition of a video component will help ensure that our views become more prominent in the debate. It's also a way of bypassing the traditional media which tends to cover state elections like a horserace — focusing on polling and fundraising rather than the important issues at stake in the race. Our team is hard at work producing a number of additional educational endorsement videos in critical races across the country, but we need your help to complete the task. Video production can be expensive, and we need to raise $5,200 to finish the videos we have in the pipeline. Please make an immediate financial contribution of whatever you can afford — $25, $35, $50, $100 or even $250 or more — so that we know we'll have the resources we need to make an impact in critical races by informing voters about the candidates' records. We only have a short period of time to get this important work completed, and we're counting on you to help erase the $5,200 shortfall we are facing. Please act today with the most generous gift you can make. Some of our supporters have been blessed with resources and can give $500 or more. If that is your circumstance, please do so today. But whether you can give $10 or $1,000, it's important that we hear from you right away so our team knows that we'll have the resources to finish this critical work. In some of the state races where we can make a difference, the information we're providing is essential. Oftentimes voters don't know the real facts about the candidates, and they have little way to determine them because the mainstream media doesn't report on issues. Politicians are experts at spinning, and in low-information races they spin like crazy. But once we release an endorsement video, voters have a clear and understandable explanation of the facts, and it becomes much harder for politicians to spin away from their record. Please act today with a contribution of $25, $35, $50, $100, $250 or $500 or more. Thank you. PS — In addition to making a contribution to support NOM, please also support Dr. John Fleming directly in his race for US Senate in Louisiana. As we make clear in our endorsement video. 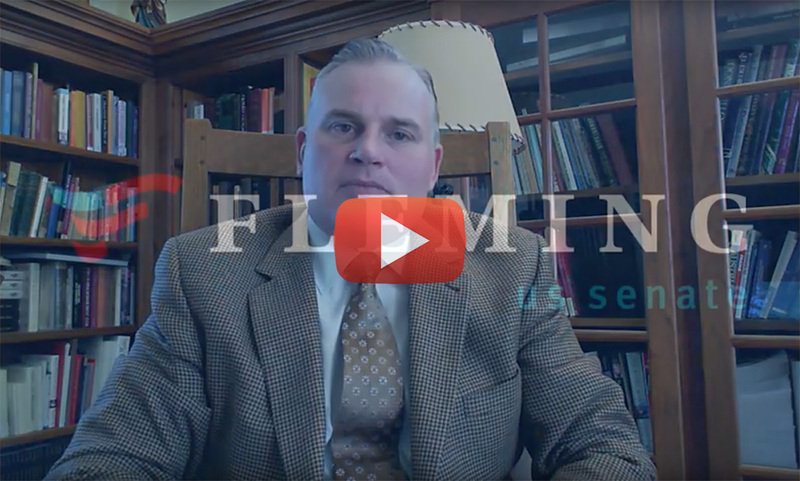 Dr. Fleming is exactly the kind of champion for marriage, life and religious liberty we need in the US Senate. He deserves our support.